While I was in Dallas for the Special Libraries Association Leadership Summit at the beginning of this month, I had the opportunity to visit the Wineburgh Philatelic Research Library, located in the Special Collections Department at the University of Texas at Dallas’ Eugene McDermott Library. The WPRL was founded in 1976 by Harold Wineburgh and today is an active collection supported by an endowment. In addition to books and journals, the collection also includes the records of the Texas Philatelic Association. (The finding aid for this collection is available online.) The North Texas Chapter of the American First Day Cover Society meets at the WPRL. 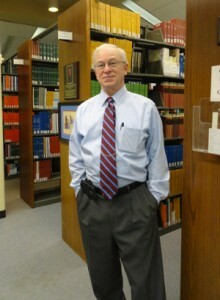 Paul Oelkrug, Coordinator for Special Collections, gave me a tour of the WPRL and the rest of the Special Collections. Besides philately, a major strength of the collections is the history of aviation, a nice complement. Some items from the aviation collections are available in digital format on the Treasures @ UT Dallas repository. You can search the WPRL holdings in the UT Dallas library catalog, and they are also included in WorldCat. The library is open to the public from 9 a.m. to 6 p.m. Monday through Friday, and the second Saturday of the month from 9 a.m. to 1 p.m.